This chronology was based on A Basic Baha'i Chronology by Glenn Cameron and Wendi Momen (used with permission). Cameron has continued to add to his database in the years since it was published, and helps maintain this online version. 2019 23 Mar A gathering of about 1,200 people attended the groundbreaking of the first local Bahá'í House of Worship in Africa located about 4 kilometers west of the town of Matunda in the Matunda Soy district of Kenya. 2019 08 Jan Imprisoned Bahá'í Hamed bin Haydara, 55, who had been sentenced to death, appeared in court in Sanaa for an unexpected hearing. Mr Haydara had been in Houthi detention in central Sana'a since December 2013. UN human rights representatives have called for the rebels to overturn his death sentence. 2018 Dec During a dialogue with the Committee on the Elimination of Racial Discrimination as it considered a report on measures taken to implement the provisions of the International Convention on the Elimination of All Forms of Racial Discrimination the Iraqi Deputy Justice Minister, Hussein al-Zuhairi, said Bahaism is not a religion or faith. He further expressed the Iraqi government’s commitment to legislation prohibiting the Bahá'í religion in 1970 and added that there was no religion above Islam since the Iraqi Constitution set the tenets of Islam as a source of law. He said that as Iraqi society is Muslim, it is not possible to ignore the tenets of Islam in legislation. It was the first time the Bahá'í community had an official presence at a space convened by the Arab League, a regional organization of about 20 nations in North Africa and the Middle East. Bahá'í International Community representatives were Dr. Solomon Belay, from the BIC Addis Ababa office, Shahnaz Jaberi from BIC-Bahrain and Hatem El-Hady from BIC-Egypt. The BIC statement, Summoning Our Common Will: A Baha’i Contribution to the United Nations Global Development Agenda, was distributed at the event. [BWNS1299] Cairo; Egypt Solomon Belay; Shahnaz Jaberi; Hatem El-Hady; BIC; Arab League; Sustainable Development; Ahmed Aboul-Gheit; Mostafa Madbouly; Z**** first time the BIC had an official presence at a meeting convened by the Arab League. Three days later the Universal House of Justice announced the appointment of the members of the Board of Directors for the Baha'i International Development Organization for the five-year term beginning 26 November 2018: Elisa Caney, Maame Brodwemaba Nketsiah, Lori McLaughlin Noguchi, Sina Rahmanian, and George Soraya. Nader Saiedi: Presenting the new documentary film The Gate: Dawn of the Bahá’í Faith. 2018 9 Sep Ētahi Karakia Baha’i (Book of Bahá'í Prayers) was launched at the Pūrekireki Marae in Pirongia to coincide with the beginning of Māori Language Week. For Dr. Tom Roa, professor of Maori and Indigenous Studies at the University of Waikato, it was the fourth significant translation of canonical Bahá'í texts he and his team have undertaken. This endeavour comes amid broader efforts to revive the Maori language. Dr. Roa, who has been at the forefront of these efforts, says that Maori speakers are a declining share of New Zealand’s population. Maori people make up only 15 percent of the population, and only a fifth of them can have a conversation in Maori, he notes. Providing access to prayers in Maori was a key motivation for the National Spiritual Assembly of the Bahá'ís of New Zealand when it undertook the process in 2004. A small team of Bahá'ís worked with Dr. Roa, who has translated other spiritual texts into the Maori language, including the Bible and the Quran. The 14-year translation project began first with The Hidden Words, Bahá’u’lláh’s preeminent ethical work, and then Baha’u’llah and the New Era, an introduction to the Faith. See the message from the Universal House of Justice dated 1 August, 2014 where they point out the "the dynamic interaction between worship and endeavours to uplift the spiritual, social, and material conditions of society" and recall the contruction of the Mashriqu’l-Adhkárs in Turkistan and in America. The local Baha'i House of Worship in Norte del Cauca, Colombia, includes a budding native forest, called the Bosque Nativo, that aims to restore the region's indigenous plants. This video in Spanish describes the Bosque Nativo's features. A musical group sang and dancers performed a piece titled “The Soul of Norte del Cauca,” about the arrival of the Bahá'í Faith to the region and how Bahá’u’lláh’s teachings are given expression in the hopes and aspirations of the people. The group also performed a song called "La Cumbia del Jardinero" which is available on SoundCloud. Dimensions: The Temple is 18 metres tall. Inside height is 15 metres. 2018 8 Jul The opening of the play about Tahirih called Daughter of the Sun to an audience of 450 people at the Azerbaijan State Academic National Drama. The dramatic presentation was produced by journalist Kamale Selim Muslimgizi and came at a time when the life of Tahirih was gaining renewed attention and interest in Azerbaijani society due, in part because a book on Tahirih’s life and works that was translated and published in 2016 which catalyzed a growing interest among the people of Azerbaijan about the life of this iconic champion of women’s emancipation. Tahirih wrote in Persian, Arabic, and Azeri, a widely spoken language in Qazvin and the surrounding region. Azeri is also the main language of Azerbaijan. Tahirih has long attracted interest among scholars. Western Orientalists of the 19th century wrote of her influence on literature and gender equality. In recent years, there have been numerous academic articles and books about her as well as translations of three volumes of her poetry into English. 2018 9 May The premiere of the film The Gate: Dawn of the Bahá’í Faith in Los Angeles. The first ever documentary about the origins of the Bahá’í Faith. On May 23rd, Bahá’í communities in multiple locations showed the film as part of their Holy Day observance. The film was directed by Bob Hercules, written by Ed Price, and the producers were Steve Sarowitz, Ed Price and Adam Mondschein. [Film Website] Los Angeles; United States Bab, Life of; Babi history; Documentaries; Film; The Gate: Dawn of the Bahai Faith (film); Bob Hercules The first documentary about the origins of the Bahá’í Faith. See Vimeo for a short film of the International Convention by Farideh Baki-Nasseri. 2018 19 Mar The release of Mr. Vahid Tizfahm from the Rajaee Shahr Prison in Karaj after having completed his 10-year sentence. He was the sixth of the seven Bahá'í leaders to be released from prison. For his personal history see Iran Watch 11557. 2018 25 Jan The announcement of the opening of an educational centre at the Bahá'í Lotus Temple. The educational facility, which can accommodate hundreds, will be used to host camps, courses, and seminars for youth and young adults who are involved in efforts to improve their communities. With the opening of the new educational facility, many more will be able to attend these programs than was previously possible. 2017 17 Dec The announcement by the Universal House of Justice of the passing of former House member Mr. Hartmut Grossmann. See Iran Press Watch February 1, 2009 for an interview with his son, Naeim. See Iran Press Watch February 5th, 2009 for an article that appeared in McLean's Magazine two days earlier. See Huffington Post for an article entitled "Iran’s Baha’i Problem" by Payam Akhavan about the visit of Ms. Faezeh Hashemi, the well-known daughter of former Iranian President Akbar Hashemi Rafsanjani, who made a visit to her home while she was on leave from prison. The Mashriqu’l-Adhkar was designed by Phnom Penh-based architect Tang Sochet Vitou. It is situated on a 9 hectare property of which 1.5 hectares is used for the temple, an administrative building as well as gardens and ponds. The temple is a frequent topic of conversation among the local population. Even before its completion, it has galvanized action towards the betterment of the community and brought neighbours together. it will help provide for the spiritual needs of Cambodia’s growing Baha’i community which, according to the Ministry of Cult and Religion’s most recent annual report, numbers about 12,000 although some adherents say the figure may now be closer to 20,000. Baha’i communities were first recorded in the kingdom in the 1920s and since 1992 they have grown steadily with the help of aid workers and Asian immigrants. The dedication was marked by a two-day conference bringing together over 2,500 people from Battambang and every other region of Cambodia. A number of Cambodian dignitaries attended along with representatives of Baha’i communities in Southeast Asia. The Universal House of Justice was represented by Ms. Sokuntheary Reth who serves on the Continental Board of Counsellors in Asia. References: [BWNS906, BWNS1062, BWNS1082, BWNS1100, BWNS1120, BWNS1137, BWNS1157, BWNS1185, BWNS1187, BWNS1189, BWNS1190 (slide show), BWNS1191 (video), BWNS1192] Battambang; Cambodia Mashriqul-Adhkar (House of Worship); Mashriqul-Adhkar, Local; Mashriqul-Adhkar, Cambodia; Mashriqul-Adhkar, Design; Architecture; Architects; Firsts, Other; Gardens; BWNS first Local Mashriqu’l-Adhkar in the world. The official video of the Bahá'í International Community to commemorate the 9th anniversary of the arrest and imprisonment of seven Iranian Bahá'í leaders - Not Another Year. Concurrent with the building the House of Worship has been the reinforcement of activities that contribute to the spiritual and material progress of communities in and around Norte del Cauca. Inspired by the Temple, these community-building activities have multiplied, and a spirit of prayer, devotion, and participation has begun to increasingly permeate the area. Parallel to this, the community has been undertaking a reforestation project, designated for a "Bosque Nativo" or native forest on an 11-hectare piece of land adjacent to the Temple site to reintroduce native vegetation which has been decimated by years of monoculture plantations of sugarcane. For development report dated the 14th of May, 2017 see BWNS1168. 2016 25 Nov In a message addressed to the Bahá'ís of the World on of the Day of the Covenant, the Universal House of Justice marked the beginning of a new five-year term of service for the Auxiliary Board Members and announced an augmentation in the number of members by 144 bringing the total to 1,134 members distributed evenly between the Propagation and the Protection Boards. A list of resolutions by the United Nations and United Nations bodies that reference the situation of Baha’is in Iran since 1980 can be found at this location. 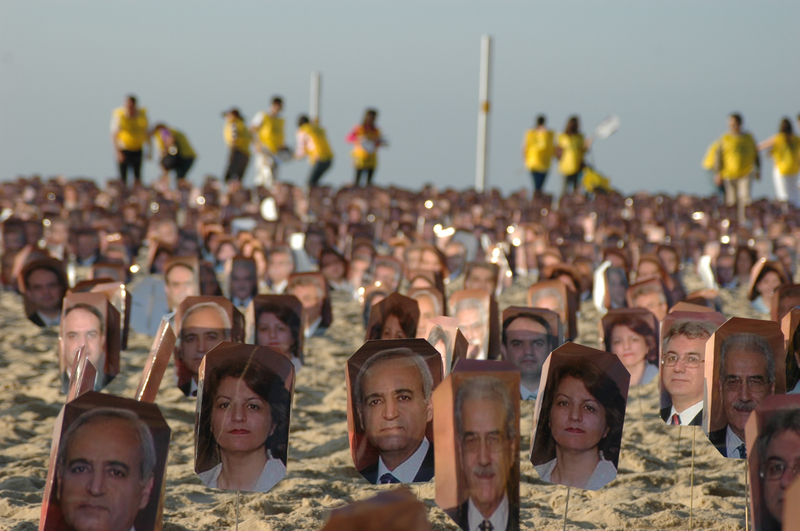 A list of the 222 Baha’is who have been killed in Iran since 1978 can be read here. 2016 13 - 16 Oct The public dedication of the Mother Temple of South America in Santiago, Chile. 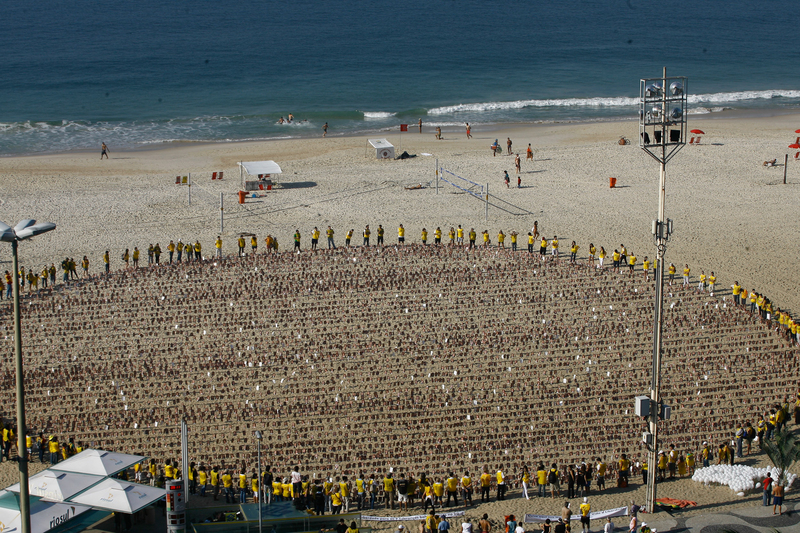 The opening ceremonies were attended by over 5,000 people from 110 countries. Live video coverage of the public opening ceremony was provided on the Baha'i World News Service website for approximately 90 minutes and the video recording has been made available at that website. A group of extremists murdered Amiri’s father, Hedayatollah Daftari, and six others in the village of Hormozak in Yazd province more than 60 years ago. At the time, Farhang was 13 months old. See entry for July 28th, 1955 for The Seven Martyrs of Hurmuzak. Following the groundbreaking ceremony the three-meter high central mound on which the 18-meter tall Temple will stand will be completed, and the foundational work for the surrounding auxiliary structures will be laid. In time, these structures will be painted in the bright colors traditional to buildings in Colombia. 2016 13 May Fariba Kamalabadi, while on a five-day furlough from Evin Prison, met with former Tehran MP Faezeh Hashemi. It was the first temporary leave she had been granted during her eight years of imprisonment. A special campaign page was established with information about their current legal situation and other resources. [Enough! Release the Bahá'í Seven]. The campaign included an account on FaceBook. and a Twitter handle. The hashtag for the campaign was: #ReleaseBahai7Now. The principle goals of the Plan are to “seek to raise the number of clusters where a programme of growth has become intensive to 5,000 by Riḍván 2021” and to add “several hundred more” to some two hundred clusters that have already advanced beyond the third milestone. [Message dated 29 December 2015 from the Universal House of Justice to the Conference of the Continental Boards of Counsellors. 2015 25 Sep The UN further defined its Sustainable Development goals at the United Nations Sustainable Development Summit, Transforming our world: the 2030 Agenda for Sustainable Development. 2015 22 Apr Pressures on Jamaleddin Khanjani’s family had increased since his arrest in 2008. There country home in Semnan was demolished by Security Forces. The family had been given 48 hours to evacuate the house and even though they had succeeded in obtaining a ruling from the Supreme Court to stop the demolition, the home was destroyed. Authorities objected to a house that had been built with a City permit 18 years previously claiming that the owner of this property is unknown and the deed was not acceptable. The farmland, where the house was situated, had belonged to the family for more than 200 years. Their farm had more than 40 thousand fruit trees, however, in recent years the authorities had blocked the road during harvest time to prevent more than 200-300 Tons of apples and peaches from reaching the market. A few years prior they had demolished a water storage facility that the family had legally constructed (the government permit and other documents were all available). More than 100 million Liters of water had been stored for agricultural purposes. The family had a thirty-year permit for a pasture for their cattle however they were forced to sell some and purchase forage for the remainder. About two weeks prior the CEO of the family's farming company had been sentence to a one-year imprisonment. He had been in prison a few times before and is now back in prison again. Although the Khanjani family included both Bahá’ís and Muslims, systematic confrontations and harassment of the family continued during his incarceration. The authorities erected a security station at the entrance to the property where they inspected the cars of family members and did bodily searches. Everyone had to be inspected to be able to go to his/her home. Even the 85-year old mother of Mr Kanjani had to obtain an access card to go to her residence. Semnan’s Revolutionary Guard and Ministry of Information declared the farm to be a military area. They built a duty post next the site of the demolished family home. Authorities prohibited the transfer the animals to a warmer climate in a truck. As a result a number of the sheep died. With respect to the condition of Jamaleddin Khanjani in prison; he was over 80 years old and on one occasion, had to be transferred to the hospital once for a heart surgery. He was immediately returned to prison although having a medical furlough would have been the usual procedure. Mr. Khanjani's family members had been the objects of persecution as well. Foad, his grandson had been in prison for four years and his granddaughter, Leva, had just completed her sentence. His nephew, Navid, who had filed a complaint with the judicial system for having been deprived of education, was faced with fictitious charges and had been sentenced to 12 years imprisonment. He has had a number of medical issues for which he has not received adequate treatment. The workplace of Mr. Khanjani’s son who worked in the optical field had been raided a few months prior. All his belongings and property were confiscated based on unfounded accusations of illicit transactions. He had spent some time in prison and had been recently been released. Mr. Khanjani's brother had a factory in Semnan and had imported equipment for making prescription lenses from Germany. He had suspended work in his factory for the anniversary of passing of Bahá’u’lláh and the authorities closed his business based on different excuses. The Ministry of Information asked him why the factory had been closed and he said it was his religious holiday. They shuttered the factory permanently, confiscated all the equipment and auctioned it all without any compensation. See also Not a Crime. 2015 20 Feb The National Spiritual Assembly of Canada announce the names of the five members appointed by the International Board of Trustees of Huqúqu’lláh to serve on the Board of Trustees for Canada and Saint Pierre and Miquelon, with a three-year term of service, commencing 1 December 2014. Julian Gutierrez Chacon is the architect for the House of Worship. 2014 28 May In the presidential election in Egypt, former Egyptian defence minister Abdel Fattah el-Sisi was elected with 97% of the vote according to government sources. The subsequent 2014 Constitution of the Sisi government, while guaranteeing the ‘inviolable’ right of freedom of religion, extended this only to Islam, Christianity and Judaism – meaning that Bahá’i were still prohibited from many basic freedoms, such as practicing their religious laws and constructing places of worship. Though Bahá’í representatives lobbied during the constitutional drafting processes to expand religious freedoms to their community, this did not occur. 2014 7 May The imprisoned Yaran addressed a letter to Mohammad Javad Larijani, the head of Human Rights Division of the Judiciary Branch of the Islamic Republic of Iran regarding his claim that “No one is in prison for being a Bahá'í and if Bahá'í s do not commit illegal acts their citizenship rights will be protected”. They reiterated some of the acts of oppression and discrimination, security force encounters and human rights violations imposed on the Bahá'í citizens and have asked the officials to change their view toward citizens and minorities. 2014 (In the year) The publication of the new, extensively retranslated edition, of Some Answered Questions. It is a collection of transcriptions of table talks given by ‘Abdu’l-Bahá in ‘Akká between 1904 and 1906 in response to questions posed by Laura Dreyfus-Barney. It was first published in 1908. Some Answered Questions 1990 edition. 2013 Dec The imprisoned members of the Yaran sent a letter addressed to Iranian President, Dr. Hassan Rouhani in response to the invitation that President Rouhani extended to the citizens of Iran to comment on the draft Charter of Citizens’ Rights on the president’s website. 2013 24 - 26 Jun Contrary to the constitution which established the government's commitment to assuring and maintaining the sanctity of holy shrines and religious sites and guaranteeing the free practice of rituals. In addition the penal code criminalized disrupting or impeding religious ceremonies and desecrating religious buildings, and specified that it applies to religious minorities. In Iraq followers of all religious groups and sects are free in the practice of religious rites and in the management of religious endowments, their affairs, and their religious institutions. 2012 29 Oct The Baha'i International Community publishes a special report on The Baha'is of Semnan: A Case Study in Religious Hatred. This video report highlights the effect on one community of the Iranian government’s methodical and organized campaign to incite hatred against the Baha'is and eliminate them as a viable social entity. 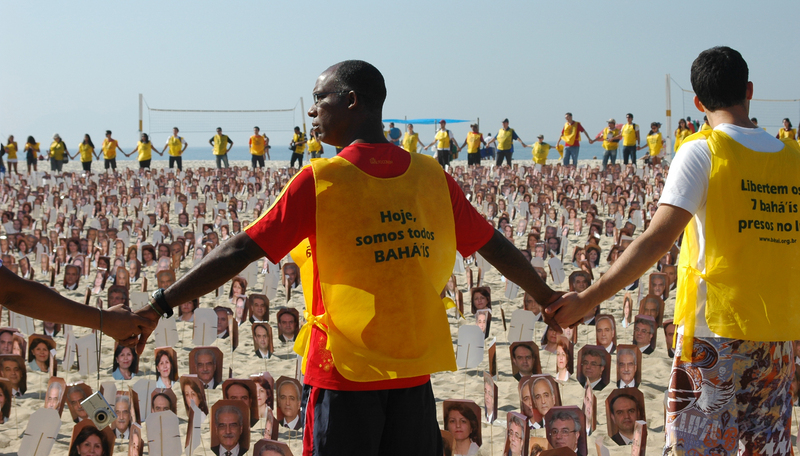 2011 21 Oct The launch of Inciting Hatred: Iran's media campaign to demonize Baha'is. The Bahá'í International Community prepared and launched a report that documented and analysed more than 400 press and media items over a 16-month period that typified an insidious state-sponsored effort to demonize and vilify Bahá'ís, using false accusations. Items with a greenish background are publications; see e.g. 1910-03. You may type or omit hyphens or slashes, like "2000-01-01" or "2000/01/01" or "20000101". Hyphens help distinguish between 2000-1-1 and 2000-11. To make suggestions for entries or to correct errors please contact us. See export tool, index, bibliography, and publisher's note in the original book.